Are you looking to get your brand, service, or product in front of more people while developing a loyal, returning audience? Browser notifications might be your answer! At Perk.com Canada, we introduced browser notifications on Travel-Wise to increase our number of returning users to the site. Ideally, these users will spend more time on the site, view more articles, and engage with the brand as a result. This would not only increase the data and numbers for Travel-Wise, but would give us a better understanding of the user path and experience, and help us know our audience a little better. Browser notifications, also referred to as web push notifications, are similar to the messages a user would receive from an app on their smartphone. The difference is that once a user opts-in, these clickable browser messages come from a specific website, and can be delivered to the user’s desktop in addition to an android mobile device. The opt-in permission is important because the user is allowing your notifications to interrupt their life, in a way. Email sign-ups are great, but newsletters can be ignored or lost in an inbox while browser notifications require the user to take action by either clicking through to your site, or actively dismissing the message. Therefore, it cannot be ignored. This permission-based communication does mean more responsibility from your brand when it comes to the timing and frequency of the notifications, but it also provides you with access to a loyal, VIP audience. There are some industries — such as travel, retail, and music — that are seeing higher open rates on browser notifications than email newsletters, which often results in improved user engagement. 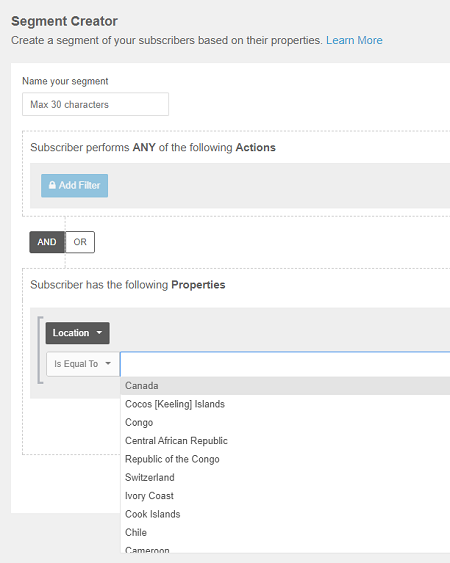 Creating segments allows you to cater information to specific audiences. Browser notifications can be customized in several ways. When building your notification campaign, you have the option to include emojis, icons, larger images, and multiple CTAs (calls-to-action) to appeal to your audience and increase clicks. In addition to customized messages, most notification services allow you to filter your audience into segments. They can be defined by demographic information, or how they interact with your website (such as time on site or specific pages visited). This feature enables you to deliver related services, products, or information to a specific audience, which potentially increases page and site performance through targeted content. Browser notifications can be scheduled to deliver immediately, or at a specific date and time in the future. This allows you to optimize the timing for your unique audiences as well as schedule messages around specific seasons or events. Additionally, automated notifications can be triggered when a customer or user completes a certain action on your website, such as visiting a certain page. On the topic of automated notifications, there is often the option to incorporate an RSS feed as well. This can be set up to automatically notify your users whenever a new post is published on your site, without you needing to manually schedule a notification. These features vary across the different web push notification services available, so make sure you have an idea of what your goals are, and what you want to accomplish with your browser notifications, so you can find a service that will meet your needs. Browser notifications are relatively new so there are some downsides. Web push notifications are currently only supported by Chrome, Firefox, and Opera browsers, and unfortunately, iOS mobile devices don’t support these notifications at all due to Apple’s strict policies and guidelines. Due to their slightly more invasive nature, browser notifications rely solely on user permissions. As a result, there will likely be a smaller audience using them than you would see for a newsletter or social media platform. If you decide to try them out, be aware that there is some research and testing needed at first. Since web notifications are relatively new, there isn’t an abundance of baseline data to work from. You’ll need to continually test and monitor to establish best practices for your brand and your audience. There are several third-party services that can assist you and power your notifications. We used Push Crew, but Aimtell and Leanplum are other options you can explore. It’s best to start off with a clear idea of what you’re hoping to accomplish through this direct communication with your audience. With this information in mind, you can choose what’s best for your brand by comparing features and capabilities. Nearly all of these services have customer care and support that can help guide you along the way. Natasha is the Associate Product Manager for Travel-Wise at Perk Canada. She has a background in design and content and a passion for SEO. Outside of work this cinephile loves art, cooking and the outdoors.